What makes them different is the same force that brings them together. Join us as they build a team of initiates with Para-normal gifts to build a new future. 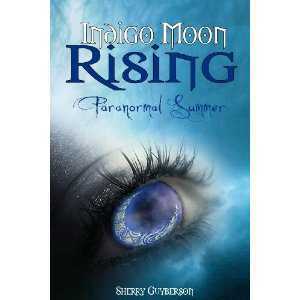 Paranormal Summer, the first in the Indigo Moon Rising series helps connect the dots between two seemingly different beliefs, that of the Law of Attraction and the paranormal. For me the two have always lived intermingled, a mystical blend of my knowing, but often hard to explain to others. Paranormal Summer introduces the readers to the main characters, Jillian, Sonya and Ryan. The story is set in a small town nestled in the foothills of Tennessee. Jillian, just turning 15 has been sent away for the summer to her aunt’s where she makes friends with others that have ‘gifts’. At times she begins to question when she is awake because many of the things she experiences would only be thought of in dreams. In reality, or at least hers, she is being guided onto a path of self-exploration with the help of her friends, an aunt that passed into spirit and some animal guides. Ryan recognizes and is piecing together the sometimes unseen fragments of this paranormal puzzle. His abilities were earned honestly, and he learns that his family tree holds secrets that are trying to change history in an evil way. He lives and breathes the unity where the law of attraction and the paranormal exist seamlessly, the seen and the unseen, the known and the not yet remembered. He is an old soul in a 16 year olds body and isn’t afraid to use what he knows. Sonya is from a linage of gypsies who lived quietly with her Grandmother running a bed and breakfast until she met Jillian and Ryan. Now she is opening her eyes to her abilities. From discovering her past life as a healer, to discovering her secret siblings, her soul yearns for the truth of what she is doing here. Hopefully I will let readers see life from my perspective, showing our connection to everything, and our responsibilities to ourselves and others. Writing this book showed me that the possibilities are infinite. And if I ‘know’ that, then so am I! Readers can also visit the website to see the characters. A mystical blend of Law of Attraction, Para-Normal and Science infused into one fantastic book for all ages. "This is a wonderful story filled with good and evil, of love and peace. It really hit home, with laughter and tears. Ryan and his two new friends uncover a world beyond the world we see. One of spirits, dark and light, and with unpredictable energies. The kids learn that their paranormal gifts are normal, and they discover that they are not alone, learning to never taking anything for granted. Ryan realizes his family tree has some horrific secrets. Sonya visits a past life and then learns of two secret sisters in the here and now. Jillian becomes aware that she can feel spirits and experience more than one reality in time and space. This book is filled with ghosts, and tons of secrets, from the bad blood to the tunnels under the town. The three kids experience unbearable sadness and overwhelming joy. There was so much going on that I couldn’t stop reading. I was left with more questions than answers. I can't wait for the next one!” Z.C.